Huawei Mate 9 finally sees the light of day. 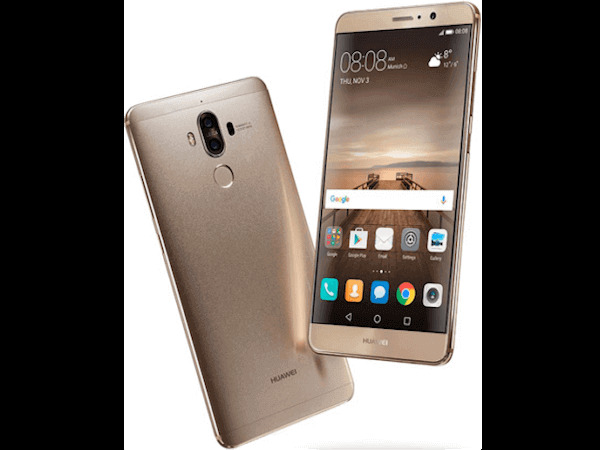 Putting an end to all the countless number of rumours, Huawei has finally pulled the wraps of the Huawei Mate 9 at an event in Munich, Germany yesterday. As expected, the company has also launched a curved variant of the Mate 9 which it calls as Porsche Design Mate 9. However, the latter is “strictly a limited edition” smartphone. The USP of the Huawei Mate 9 is the dual camera setup (20MP + 12MP both f/2.2 aperture) at the back co-engineered by Leica. Similar to the one on the Huawei P9, the Mate 9’s camera also adopts the same approach, meaning the images captured by 20MP monochrome sensor will be combined with the images captured by 12MP RGB sensor to produce sharper and better images. An 8MP front camera with f/1.9 aperture takes care of selfies. The Mate 9 happens to be the first smartphone to be powered by the octa-core Kirin 960 chipset. The 5.9-inch (Full HD resolution display) phablet packs 4GB of RAM coupled with 64GB of internal storage space which is further expandable up to 256GB. It runs Android 7.0 Nougat straight out-of-the-box with a layer of new EMUI 5.0 atop. A 4,000mAh battery provides the juice for the device. It also features SuperCharge technology which is claimed to deliver a day’s worth of charge in just 20 minutes. The Huawei Porsche Design Mate 9, on the other hand, offers slightly different features such as a 5.5-inch QHD AMOLED display, 6GB of RAM, 256GB of internal storage space (not expandable). The limited edition smartphone will only be available in Graphite Black colour whereas the standard variant comes in Black, Space Gray, Moonlight Silver, Champagne Gold, Mocha Brown, and Ceramic White colours. Huawei Mate 9 will be initially launched in parts of Asia, the Middle East, Europe with other countries following in the next wave of launch. The limited edition Porsche Design Mate 9 will be available in European Porsche Design stores starting this December. The standard Mate 9 bears a price tag of EUR 699 which roughly translates to Rs. 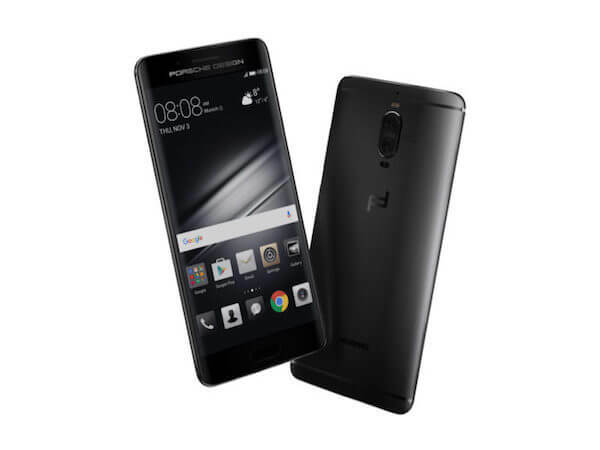 52,000 whereas the Porsche Design Mate 9 will set you back by EUR 1,395 which translates to Rs. 1 Lakh.